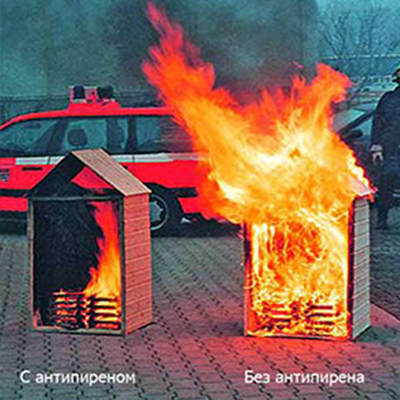 Is the Log House fire-proof? How durable is the Log House? How many years will a Log House last? 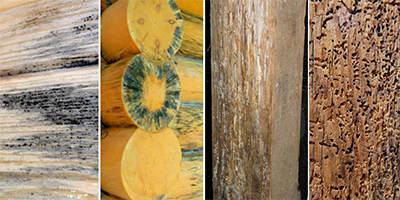 What kind of wood is used for Log Homes? How long it will take to build a Log House? 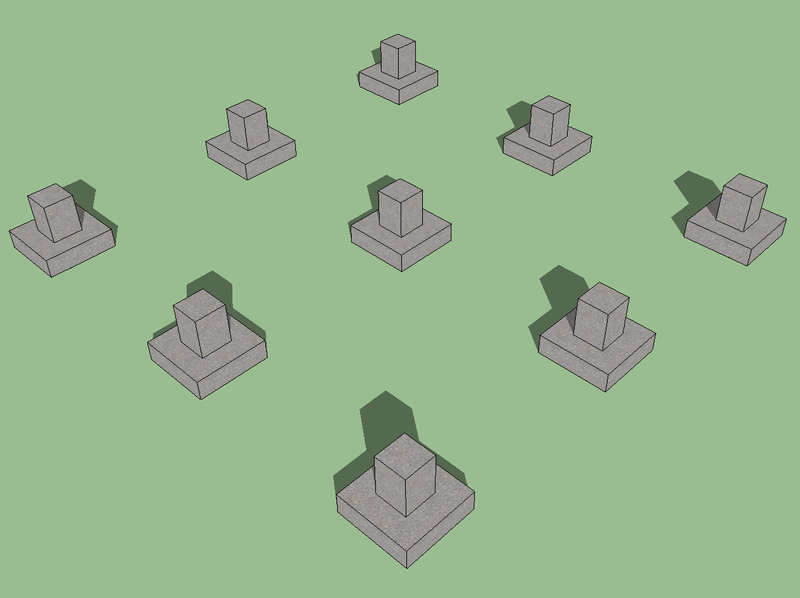 What corner notch styles are available? 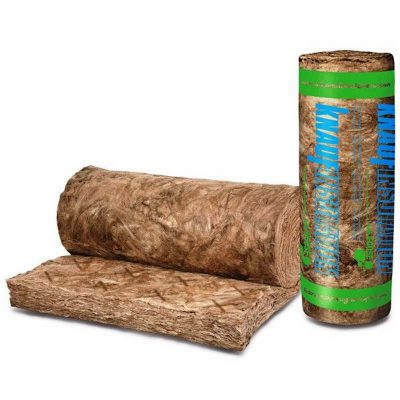 What kind of insulation do you use between logs? What is a Log House settling period? 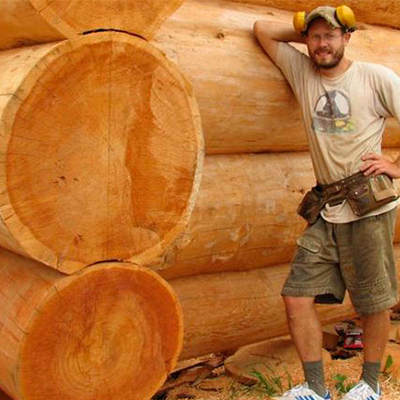 What log thickness do you offer? 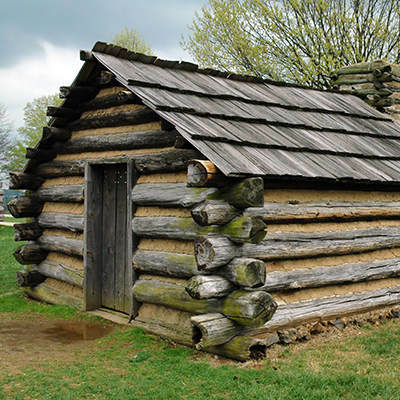 What are the most common mistakes in Log Cabin construction? How can a Log Cabin be protected from the sun and moisture? How to protect logs from damage? All timber is treated with special anti-fire concentrate. 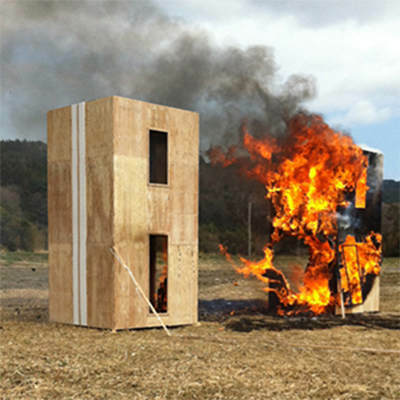 It has been proven that when a log house is on fire the walls and beams burn at a certain speed without losing their strength thus giving the occupants more time to get out in the safe place. 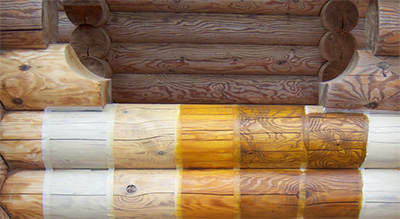 A home constructed of solid logs can offer excellent durability against a wide range of natural forces: rain, snow, sun, insects. 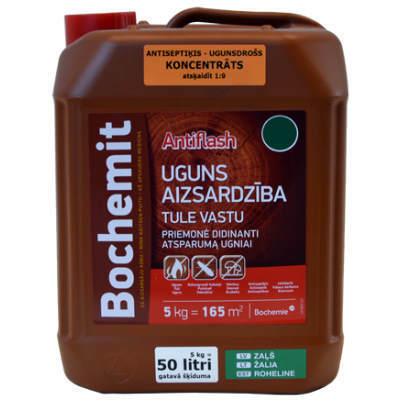 Modern wood protection technologies ensure long-life and protection against all harmful elements. 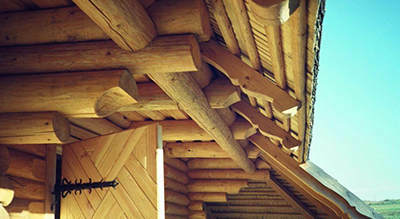 Even existing log houses can be restored to a perfect condition, thus increasing the durability of the structure. The type of foundation depends on specific site factors including soil type, proximity to trees, ground levels etc. 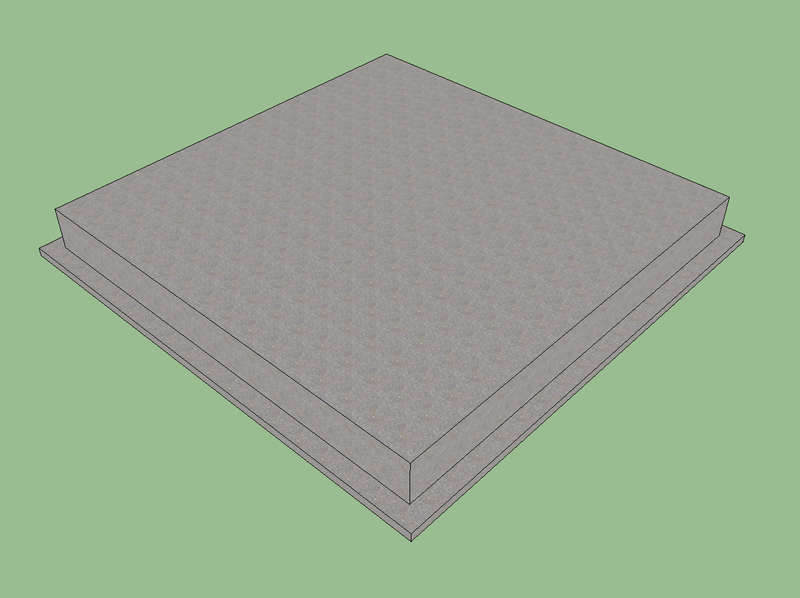 A strip and or raft foundations would be the most common. 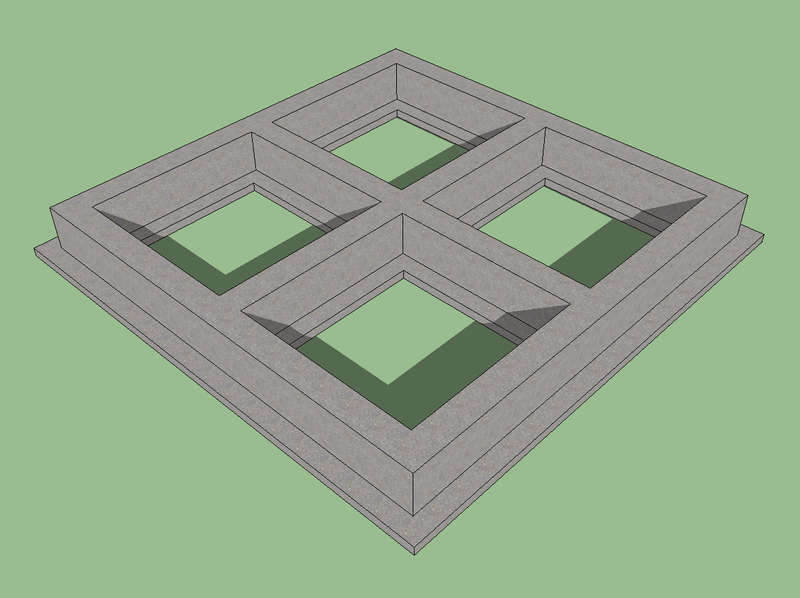 Pile foundation can also be used in some cases for smaller, garden type Log Cabins. We use winter-cut pine wood that comes from sustainable forests in Baltic States, where wood grows very slowly and is dense and fibrous. 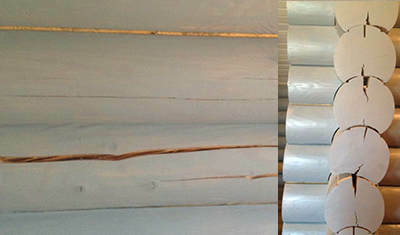 Pine is one of the most popular types of wood used in construction. The Baltic pine is less prone to cracking, splitting, and warping. 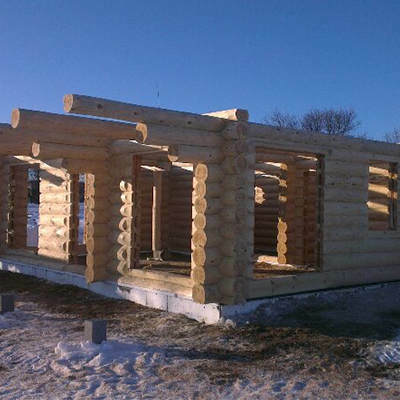 It would take 5-8 months to produce, deliver and assemble an average size three bedroom Log House. The large choice of log cabin notches can introduce confusion about which notch to use and why. 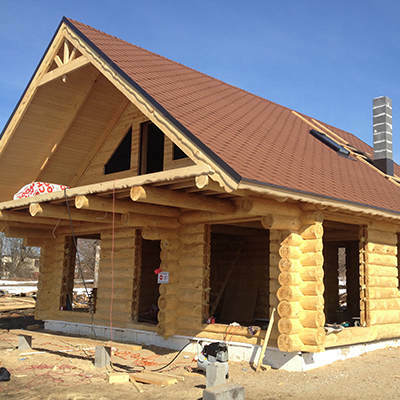 Choosing the right corner notch style for your log cabin is important as it will impact the aesthetics, cost, build duration and weatherproofing. A Round notch is made by simply cutting the exact contour of the log below into the bottom of the log going above it. In Russia and other European countries this notch is very popular. 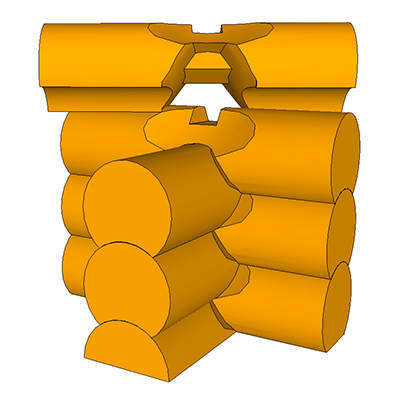 The round notch is used as by handcrafters as well as in the construction of manufactured homes since the notch can be easily made by a machine or log lathe. Downside of this notch is that sometimes it may not stay tight after shrinking. 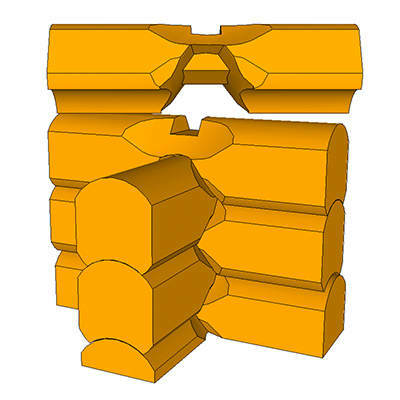 The Canadian notch, sometimes called shrink-to-fit, is designed to get tighter as the logs settle and shrink. 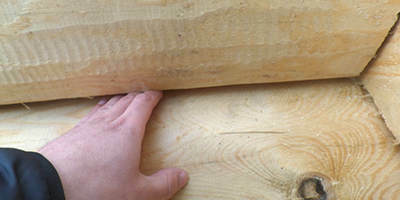 This notch usually is used in handcrafted log homes and it is combined with chinkless method of longwise log interlocking. 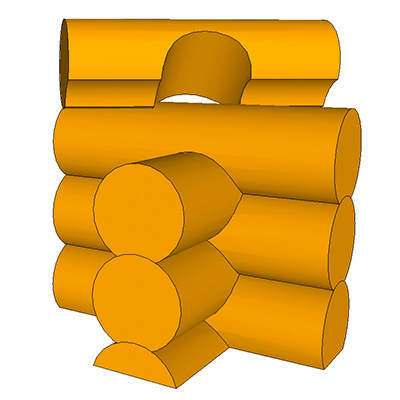 Logs shrink mostly in diameter, so properly made shrink-to-fit notch should prevent appearance of gaps since each log supposed to get closer to log under, over the time because of shrinking and compression. 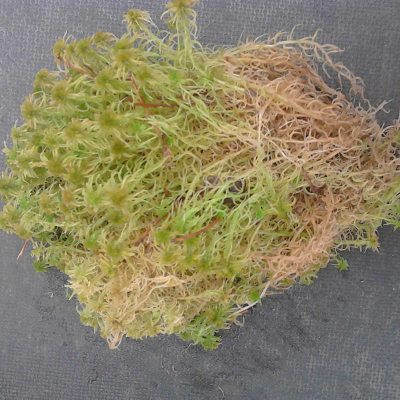 Scandinavian notch is one of most labor intensive, complex, effective and nice looking notches. 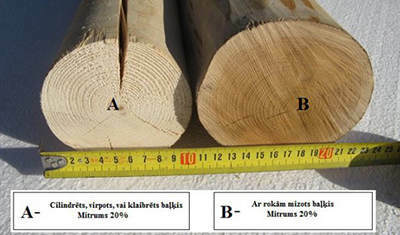 In Scandinavian countries it’s usually used with bevel edge logs, however it is possible to cut Scandinavian notch on logs with round profile. Similar to Canadian style notch, the Scandinavian notch belongs to “shrink to fit” kind of notches. 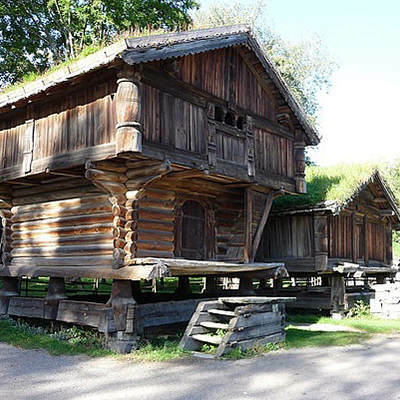 In Norway, Finland and Russia this notch is number one choice for high-end-priced log homes. 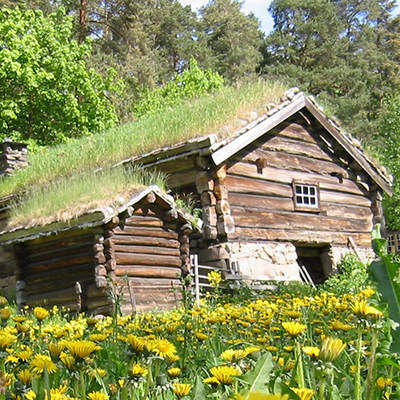 Traditionally materials like moss or home brewed chinking were used as an insulation between the logs. 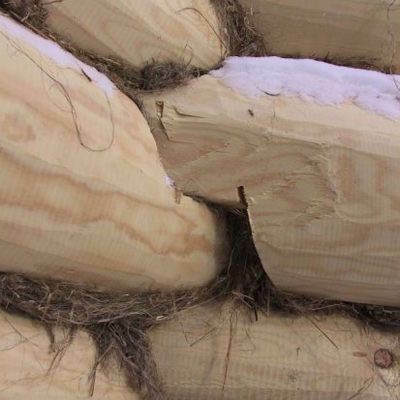 Today, the most used insulation for Log Cabins is the eco-friendly fiberglass. 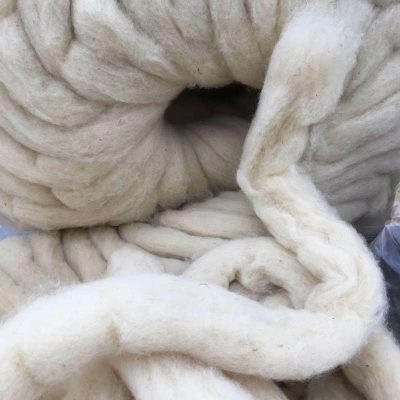 Another great option is to use a natural sheep wool. 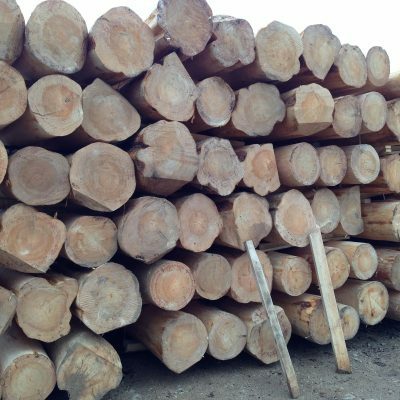 The logs in log houses have a varying degree of moisture content; all logs have moisture when freshly cut. In the case of handcrafted logs moisture will naturally leave the timber, drying it out until it stabilizes with its climate. 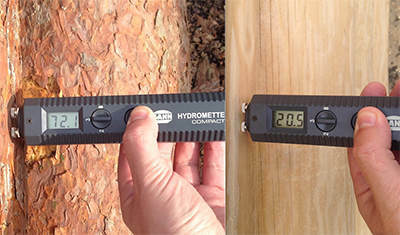 This drying-out causes movement and shrinking of the log’s diameter. 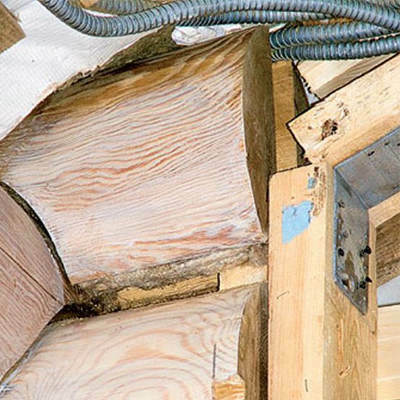 As logs and timbers dry, the differential shrinkage causes small cracks to open slowly over time. 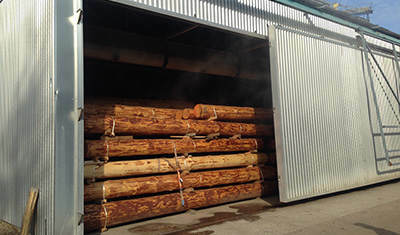 Checking is a natural process in both air and kiln-dried logs. This occurs in all log houses regardless of construction method or how the timber is allowed to dry, and is considered normal. The average settling period for a Log House (pre-dried logs) is 2-3 years. 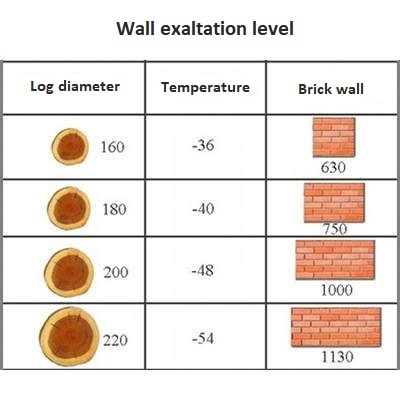 Log walls respond to atmospheric changes or the beginning of the heating season. 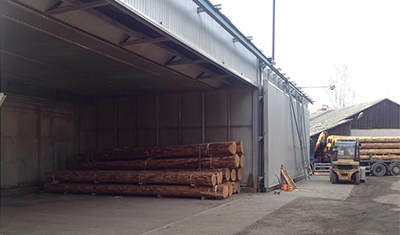 Many think that the intense use of heating will accelerate drying of logs. This is wrong. 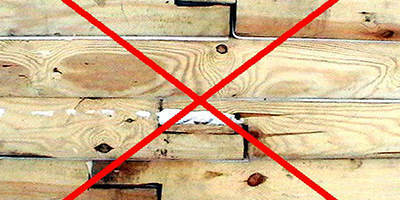 Inside logs should not be drying faster than outside logs as this may lead to the appearance of gaps between logs. In the first year indoor temperature should not exceed +20 degrees Celsius during the winter. 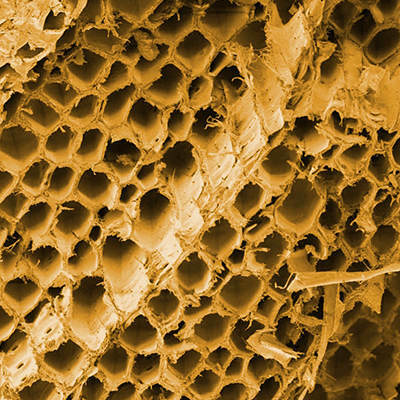 Wood is the best insulation material nature has to offer. Wooden houses are cool in the summer and warm in the winter. Studies have shown that log walls retain 40% more heat than block or brick walls. First — not allowing enough room for shrinkage in the wall systems. Never underestimate the power of shrinkage! 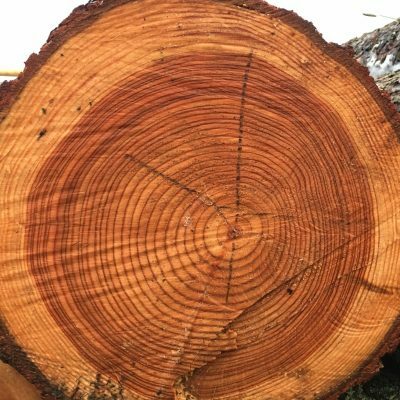 Shrinkage and settlement is a natural process that occurs with time and is created as the content of the moisture in the logs drop. The design detail of shrinkage is not hard or complicated for an experienced carpenter to understand with proper detailed drawings. It only becomes difficult when ignored! 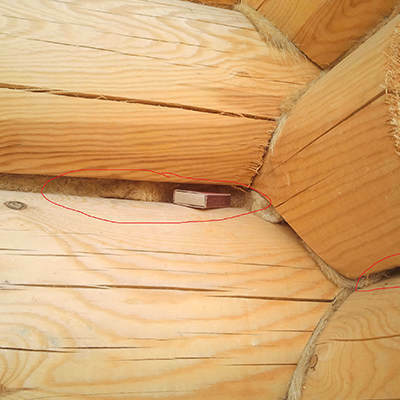 The second mistake — connecting the logs in the middle of the wall. 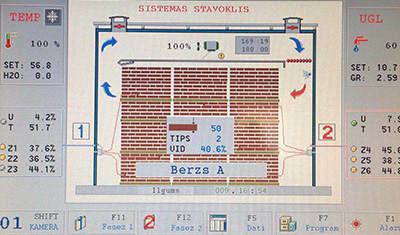 It is not possible to connect the logs in the middle of the wall. 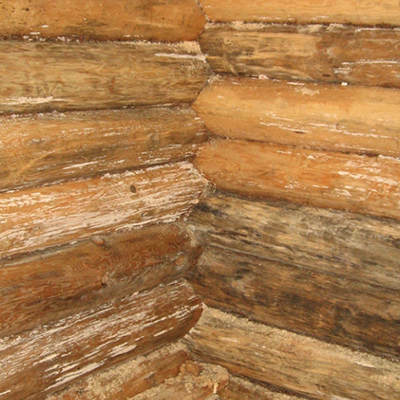 Such connections weaken the construction of the log house and the walls of the log house could deform. The logs used in the construction must be of one piece and the logs must be fixed at the corners only. 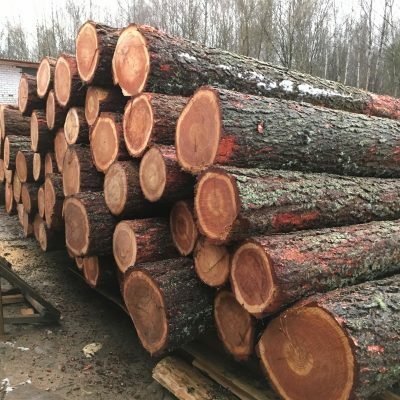 The third mistake — logs that are not kiln dried should be protected in a dry environment and allowed to dry out for a minimum of 6 months prior to construction. With that being said, when it’s time to stain the logs, the moisture level should be below 15%, though during the construction phase of a log home, the moisture content of the logs can be closer to 20%. Ignoring this may lead to the appearance of mold on walls. Keeping logs as dry as possible is the name of the game. Trying to save money by using undersized overhangs will cost more in the long run. If you’ve ever noticed large roof overhangs surrounding a log home, there’s a good reason for that—minimizing moisture contact! 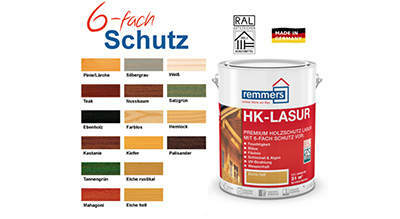 It is also important to treat the wood with high quality preservatives. The first rule is to allow enough time for logs to dry. Don’t rush and start using log house slowly. The second rule is to deal with cracks or damages with the use of modern technologies. It should be made sure that the logs being used to build the home are dry. 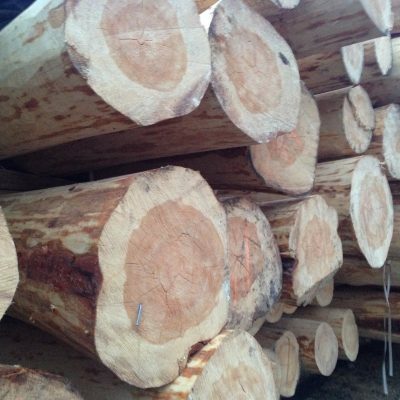 As long as the logs have moisture content between 12% and 20%, there will be no need to worry about settling and furnishings like settling jacks will not have to be used. If you have any questions that we have not answered in FAQ, then feel free to send your inquiry to our email or call us +353 879072266. 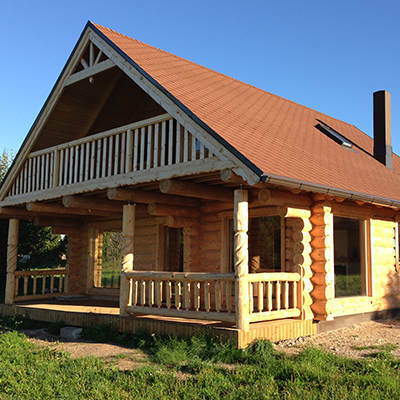 We specialize in the design and construction of handcrafted Log buildings/products, such as Log Homes, Log Houses, Log Cabins, Garden Houses, Gazebos, Sheds, Workshops, Offices.